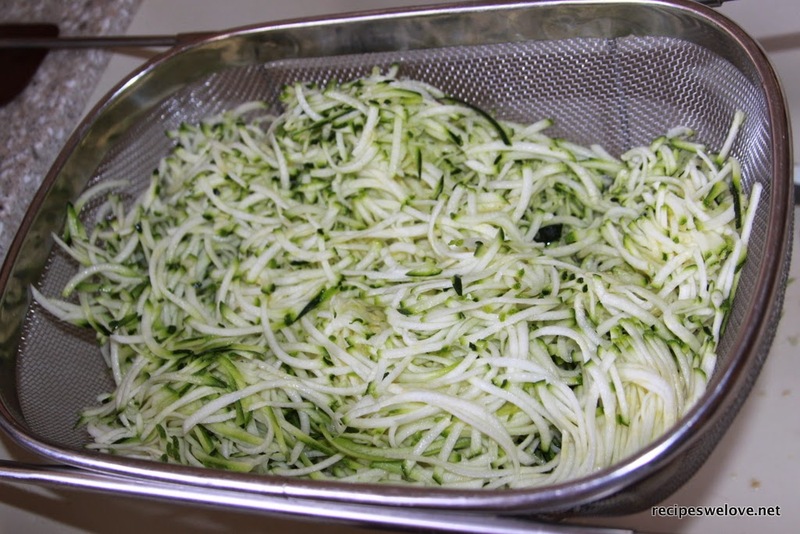 When the garden is providing lots of zucchini I freeze a little for later. 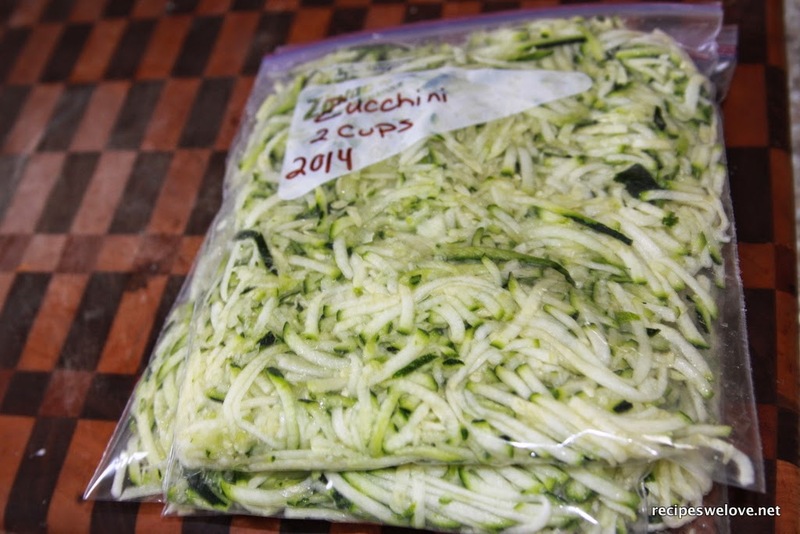 I shred the zucchini and let it drain for a few minutes to get any extra liquid out of it then freeze in zip top bags in what ever amounts you use in your favorite recipes. I use 2 cups of shredded zucchini in my zucchini bread so I freeze 2 cups in a bag.